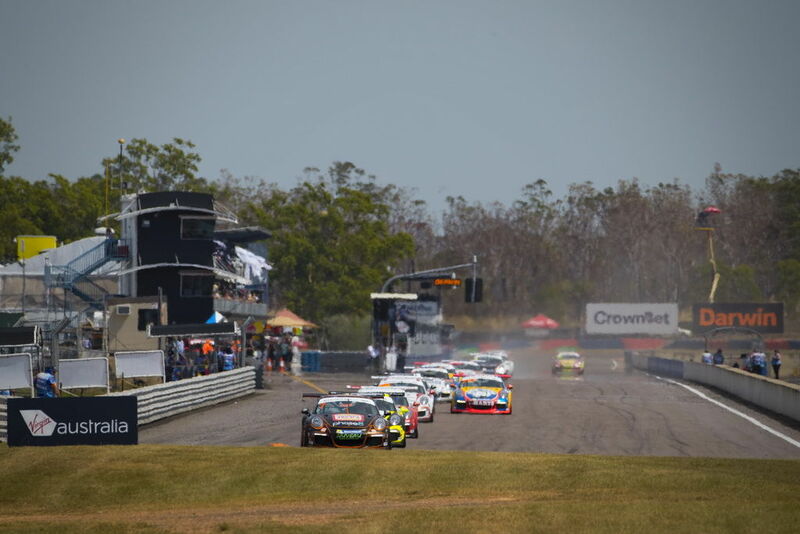 Although we had raced in GT3 Cup Challenge the weekend prior, we were still keen to get up to Darwin for round 4 of the Championship. 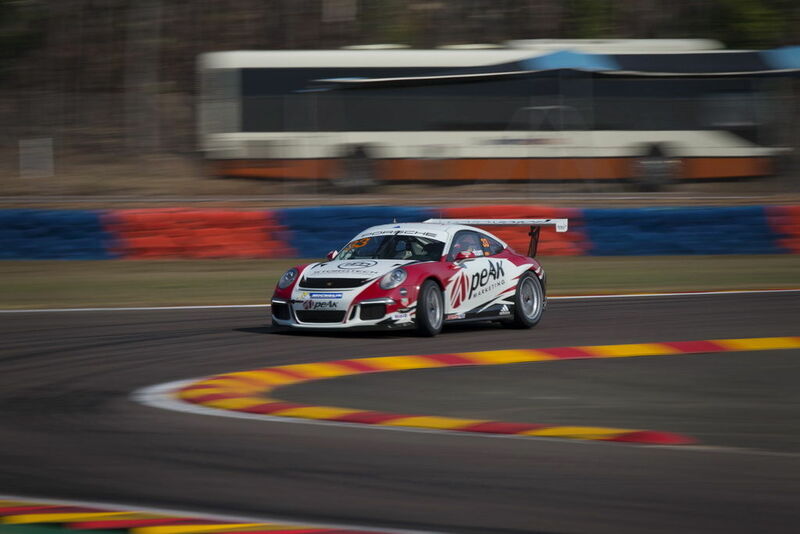 We had mixed results at the Northern Territory 'Hidden Valley' circuit last year with Shane Smollen completing a clean sweep in the Elite class and Matt Campbell having some bad luck with it being the last Australian Carrera Cup round on record where he didn't finish on the podium. 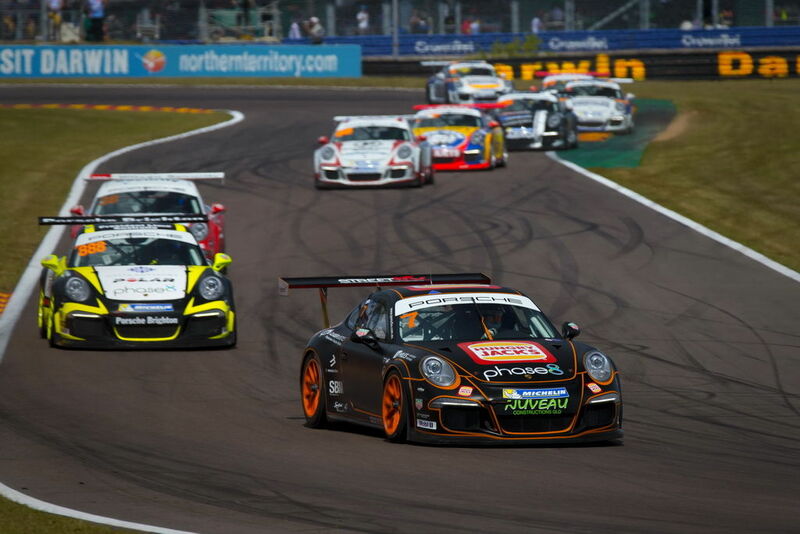 While he had previously competed in three Pro-Am rounds (collecting two podium finishes) this was Tim's first Carrera Cup round running 'solo' and we were keen to see how he would stack up. 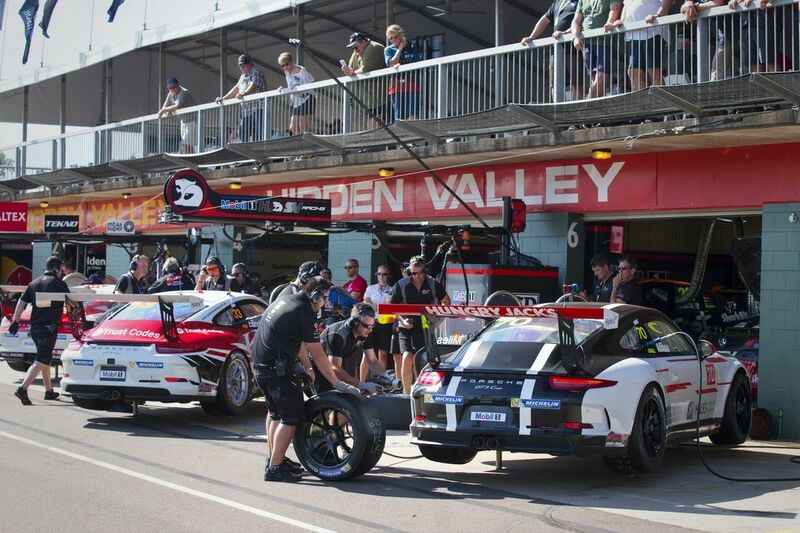 This was also Jaxon and Simon's first visit to Hidden Valley so our expectations were realistic for all three of our drivers. Jaxon qualified 2nd. In race 1 he got a great start and led Alex Davison the whole 25 lap race with the gap between the two varying between 3/10s and 6/10s of a second. 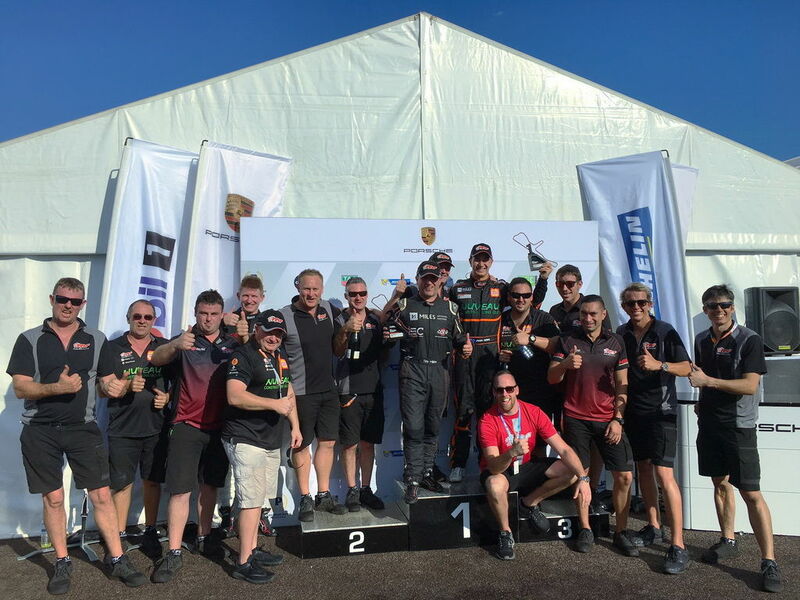 He withstood huge pressure to take a very well deserved first Carrera Cup win in only his tenth start in the highly competitive category. Race 2 for Jaxon was similar in that he again won the start and run to the first corner and withstood enormous pressure from Wall, but was able to pull a relatively comfortable 1-second lead before Davison took over second place. 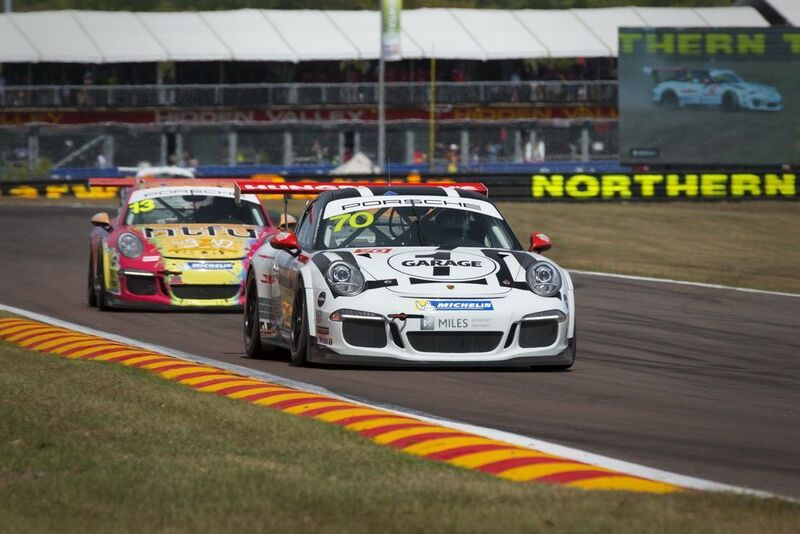 Jaxon kept his cool and took his second Carrera cup race win. Fortunately race three was a similar affair for Jaxon, getting off the line well, leading, withstanding intense pressure from behind again, until breaking away from our mate Alex Davison a few laps from the end and capturing his third win in a row. Simon qualified 10th in Pro class. He had an exciting race 1 racing with Sam Shahin keeping a close eye on team mate Tim Miles and Grove. He managed to do his best lap time of the race in the last of the 25 laps, showing he is getting to grips with the circuit. Simons race two consisted mainly sitting and observing the Elite class brawl unfolding in front of him. 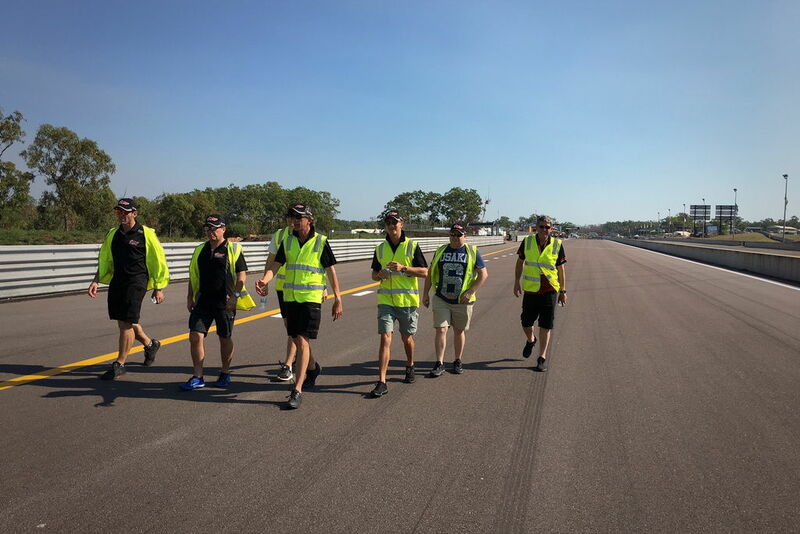 The highlight for the team was Simon recording his best lap time of the race a 1:9.97 which was less than a second off team mate and race winner Jaxon's best lap of the race. Simon had another solid run and had team-mate Tim Miles just ahead the whole race. He did a great job to keep Tim in his sights although not quite getting close enough to make a pass before the end of the race. Tim qualified 1st in Elite class. He got a decent start and managed to pull clear of Shahin allowing him to work on making a pass on leader Steven Grove. 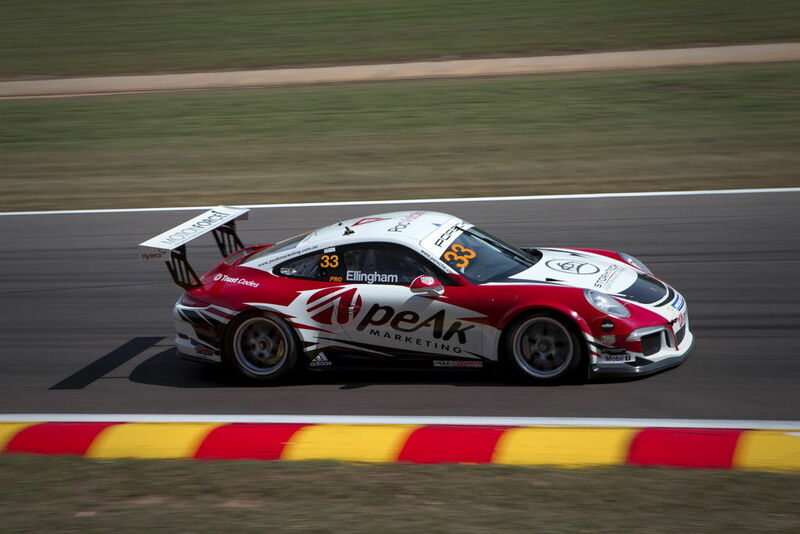 He made a great pass on the fifth lap then preceded to run wide at turn 5, dropping a spot to Shahin which he rectified on the following lap to take his first Carrera Cup Elite win. In race two Tim had a race-long battle with both Steve Grove and Sam Shahin, this was very entertaining for the crowd but unfortunately ended after the last corner when Tim took advantage of a small mistake from Grove and was intending to drag past him but Grove's defensive move was too late and put both of them into the fence with the finish line in sight. The officials penalised Grove, but that didn't help Tim's points score. The awesome MR crew did an amazing job in a short timeframe to replace most of the front left suspension and get the car ready for the third race. Old tyres and a rushed set up didn't give Tim the ultimate car balance but he still managed 2nd and a podium finish for the round. What an amazing weekend! 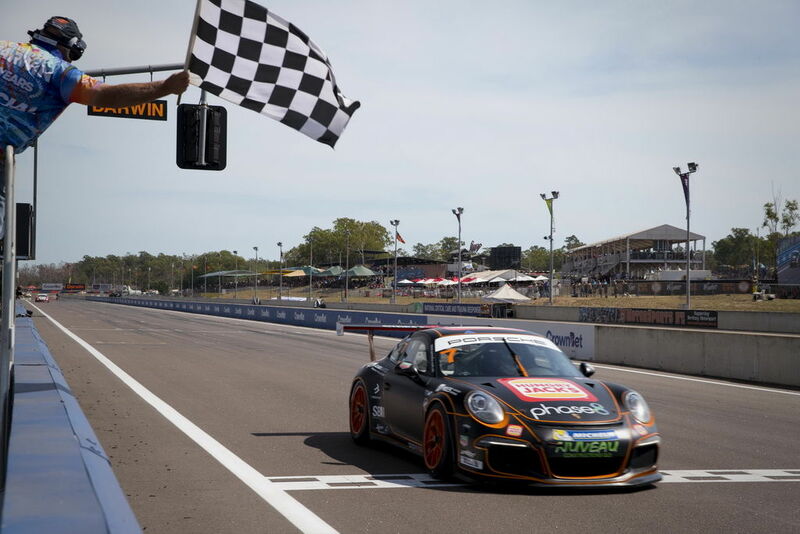 Jaxon's break-through Carrera cup win in race 1 was a terrific effort and to back it with a clean sweep against a stellar field including four former professional V8 Supercar drivers with vast experience at Darwin was exceptional and truly marks Jaxon as another star of the future (SOTF) in the international GT racing arena. Although the current Elite field is pretty thin, the racing at the front is no less frantic so Tim's second place and podium finish on fulltime debut was excellent. Simon had a great weekend, like Jaxon and Tim, he also loves the layout of Hidden valley and is improving his race-craft and pace all the time, so we are looking forward to him being a competitive pro in the 2018 championship.